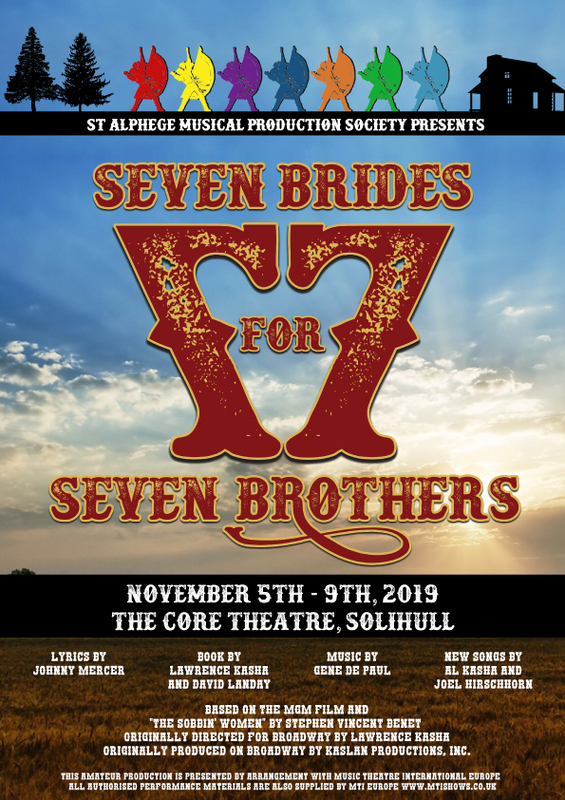 STAMPS will be producing the spectacular show - Seven Brides For Seven Brothers in November 2019. Bursting with the rambunctious energy of the original MGM film, Seven Brides For Seven Brothers is all boisterous fun and romance that harkens back to the glory days of the movie musical. A truly rollicking adventure that teaches that it takes a bride to turn seven unshaven unkempt brothers into manly gentle men and to turn desire into romance. Set in Oregon in 1850, Seven Brides For Seven Brothers tells the story of Millie, a young bride living in the 1850's Oregon wilderness. Her plan to civilise and marry off her six rowdy brothers-in-law to ensure the success of her own marriage backfires when the brothers, in their enthusiasm, kidnap six women from a neighbouring town to be their brides. For more information on the launch date and auditions for this production.